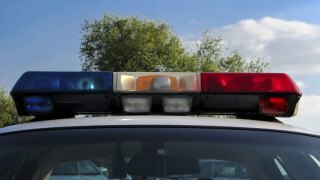 A Pleasanton school is no longer on lockdown after police apprehended three suspects in connection with a residential burglary Thursday. Police said a house was burglarized on the 1000 block of Riesling Drive, forcing them to put Vintage Hills Elementary School on lockdown around 11 a.m. An officer was at the school campus to help staff. Two suspects were taken into custody at that time, but one was on the loose, police said. Around 1:30 p.m., police reported that all the suspects had been apprehended and the lockdown had been lifted. People with more information can call Pleasanton Police Department at (925) 931-5100.